Fears a boulder "the size of a minibus" could fall on to a key coastal road have led to it being shut until further notice. 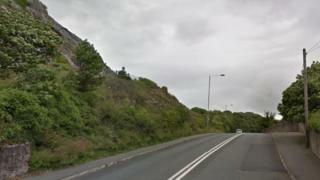 Conwy council said specialist engineers had moved in to try to remove the rock from Little Orme but could not say when Colwyn Road, Llandudno, will reopen, although it could be days. Diversions have been put in place through Bryn y Bia Road. Residents will be able to access homes from the Llandudno side of Little Orme.